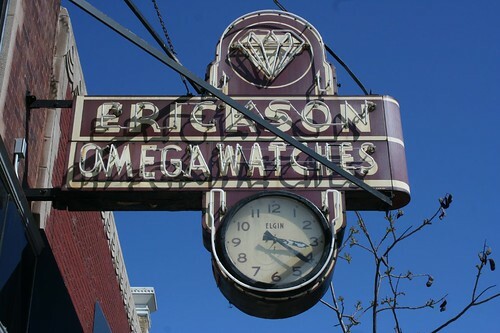 It’s no great secret that historic neon signs are steadily disappearing from the Chicago landscape. 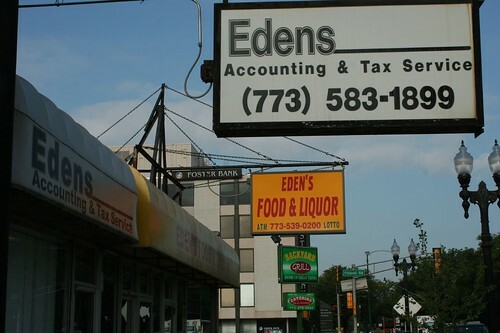 The difficulty and cost of maintenance, along with the closing of older independent businesses, are the primary causes. Even when the signs are valued by store owners, sometimes they’re impractical to move, maintain or update. 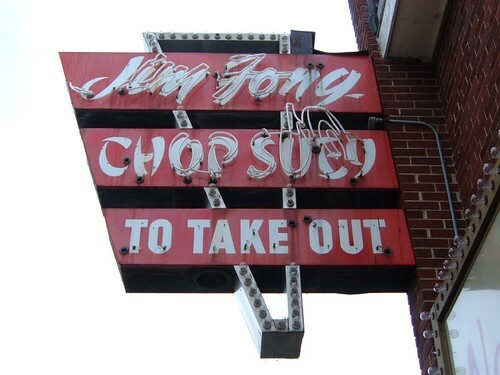 Jim Fong Chop Suey, a modest sign on Touhy in West Ridge. 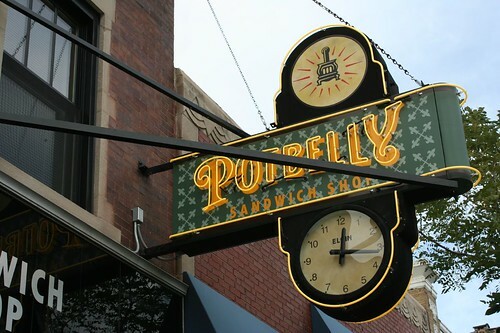 The former Erickson Jeweler sign on Clark Street in Andersonville, now a Potbelly’s. Tasemkin Furniture. Now covered up with generic paneling. 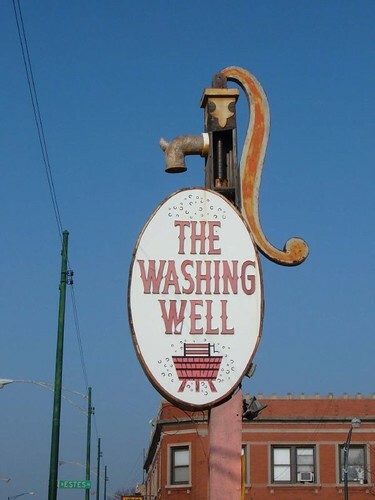 The Washing Well, Clark Street, Rogers Park. Not a neon, but still interesting. A.E. 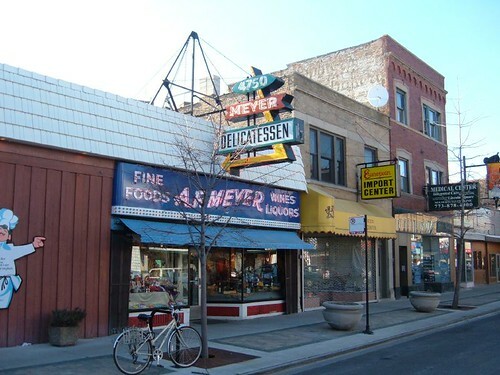 Meyer Delicatessen, Lincoln Square. The hanging sign has been relocated to the interior of the new store on this site; however, the storefront sign is gone. 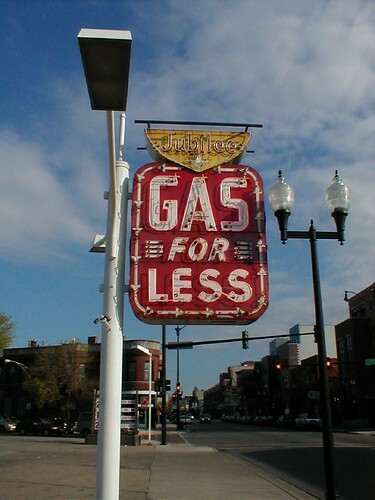 Jubilee Gas for Less – this Lincoln Avenue sign has a surviving sister in the lobby of the Chicago History Museum. 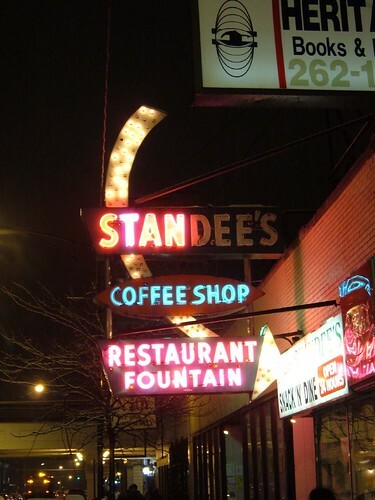 Standee’s Coffee Shop, Edgewater – closed by corporate property managers who did not consider the 60-year-old restaurant “a solid investment”. Brilliant! 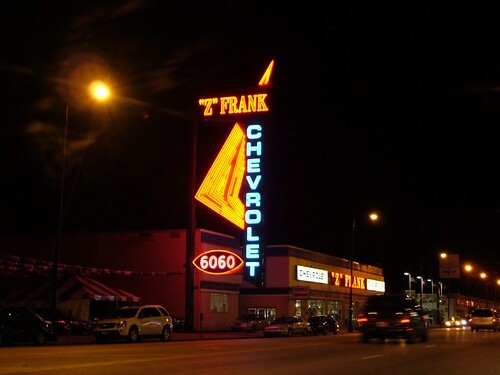 The “Z” Frank Cheverolet sign is a Western Avenue icon; however, it hasn’t been lit since around 2007, when the car dealership relocated. In the press, the owner stated that they’d love to donate or relocate the sign, but that it was just too big to move. 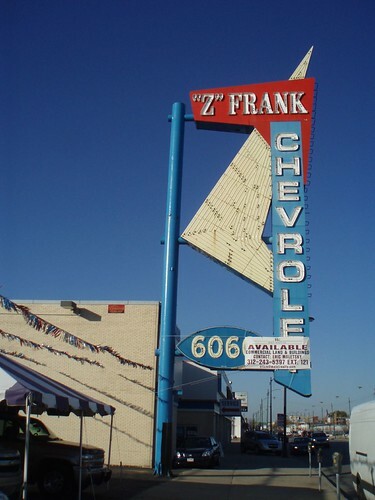 This entry was posted in Lincoln Avenue, Neon Signs, Roadside architecture, Rogers Park. Bookmark the permalink. 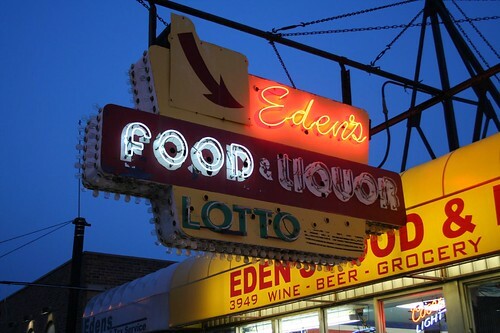 The Rothschild Liquors chain has a number of identical neon signs at at least some of their locations. While there are a lot of photos online of the one on Chicago east of Ashland, there are also examples at Pershing & Indiana and 63rd & King. That area of Western from Rosehill to Howard is haunting now. 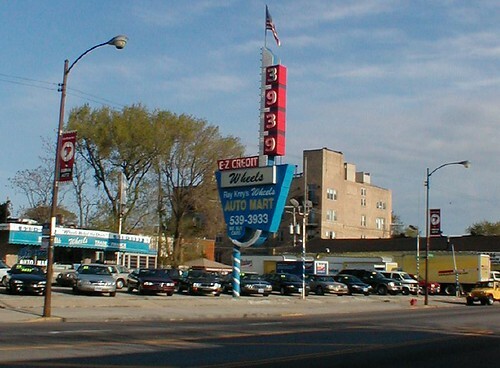 Used to be that between Candlelite and the cemetery, at night, the Blockbuster/motorcycle place and Z Frank would carry you south to Lincoln Square in their lights. Now it's dead, completely dead, and Candlelite (with an excellent neon sign to boot) is like a beacon you hold your breath to reach. For a minute, I thought Tasemkin was the "Piano Galerie" at Ridge and Clark. 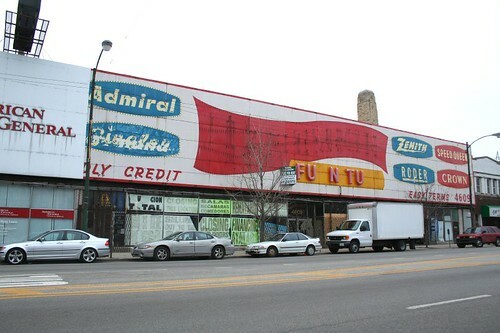 There used to be a fabulously tacky Tasemkin on Stony Island south of the Skyway. I loved seeing the light fixtures in the window as I went by for day camp. 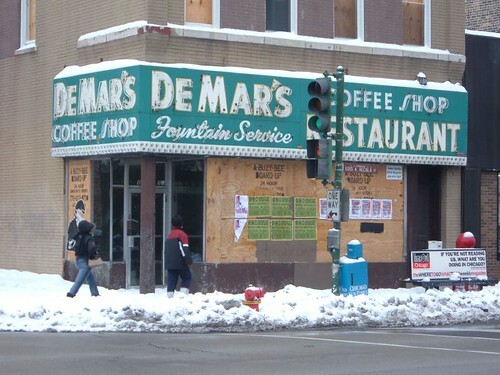 Have you seen the part of a sign Melrose Restaurant (corner of Melrose and Broadway) has uncovered under their marquee? Not neon but interesting nonetheless. By marquee of course I meant awning. Sorry for the blog spam; to try to make up, I'll mention that there's an interesting synagogue around the corner (going east on Melrose). its pretty sad to see most of these signs defunct. but, thank you for posting them. as a person who grew up in chicago with all of those signs and most of them working during my childhood it felt good to see.